I've lost my WiFi [in this Trump-shithole-location]. 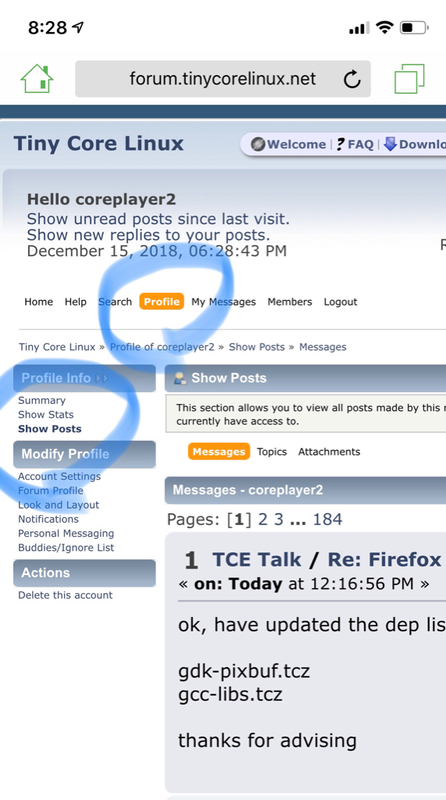 to find & follow my TCforumThread: "tinycore => mulinux => android ?" After logging in to this forum; Selecting “Profile” and then “Show Posts” from the main forum page as shown in the attached screenshot all your posts will be listed and so incredibly easy to find..
IMO gpm is the most essential tool; after the Terminal. remote. Too many old library conflicts with 1999 Mulinux. # [ use sed+tr ] oh, awk!